There is a new issues at Paper Issues today, Hey, Tech This Out! sponsored by Color Cast Designs. 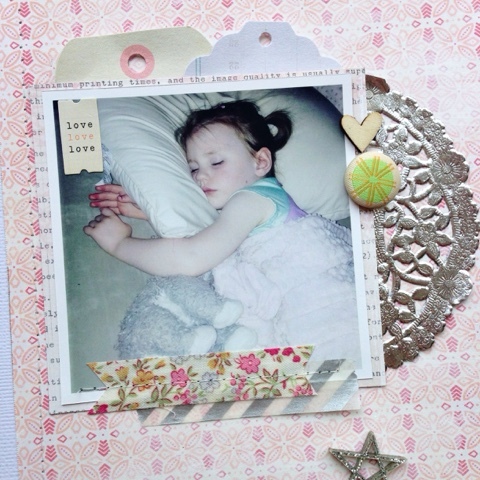 I used the silver twinkling stars for this layout about my niece, Ruby sky looking so sweet while sleeping. I wanted the layout to be as light and dreamy as possible, so I mostly stuck with silver and pink for colours. I really loved these starts. They are so pretty and the silver glitter is just the right amount. I also got the Happy Trails triangles and expressions and can't wait to scrap some childhood camping photos. I applied a light layer of gesso over my patterned paper and then placed my photo which I layered a few tags behind, a silver doily and a few layers of tape. The silver is washi, but the floral is a fabric tape I've been hoarding for years now. I sewed part of shipping tag over a silver doily and added a pink flower brad. I really love the way the pink and silver go together. 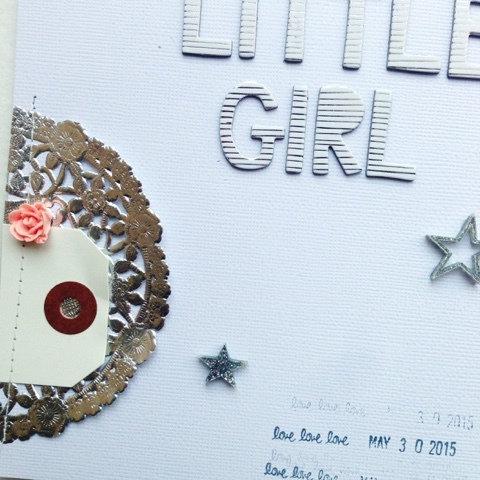 I used these amazing thickers from Amy Tangerine's Rise and Shine line to make a big title. 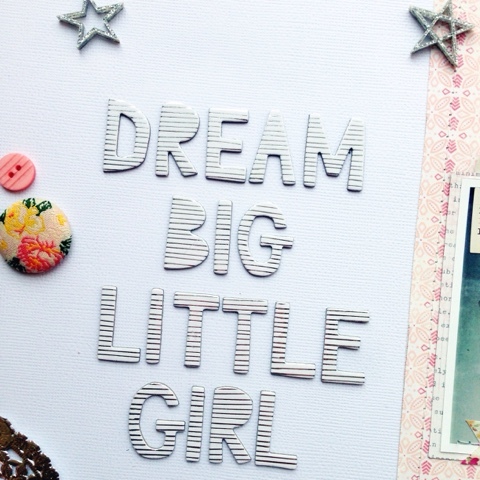 I just love the silver stripes on these and the font is so cute. You have until July 19th to link up as many projects as you want on the Hey, Tech This Out blog post for the chance to win either the Embellish Me, Neutral OR Embellish Me, Colorful set. 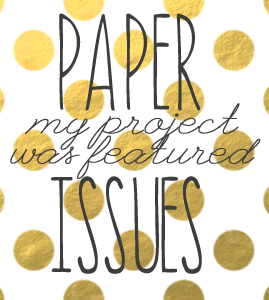 There are lots of suggestions on the Paper Issues blog for possible link up ideas.